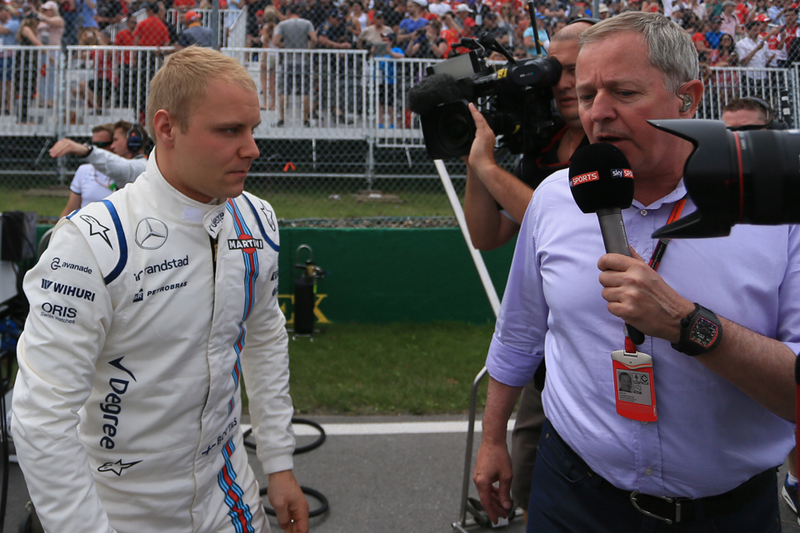 Talking about F1: The F1 blog: What was the matter in Montreal? 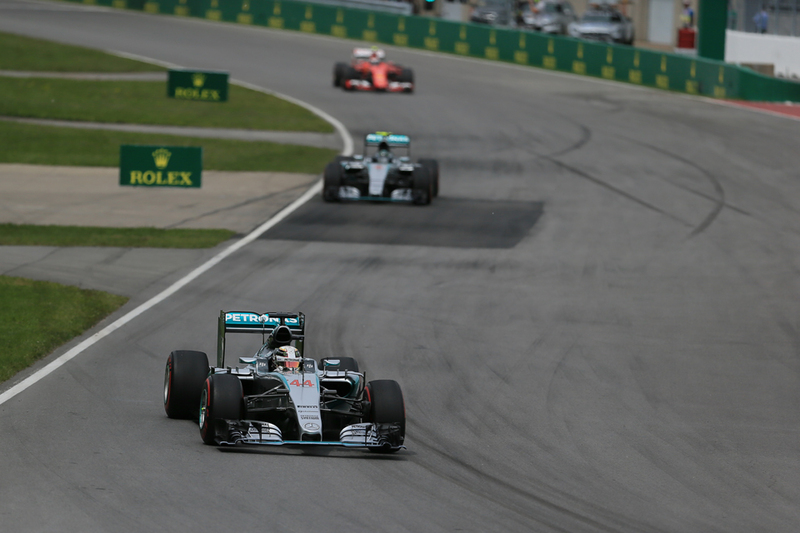 Since last Sunday's Canadian Grand Prix there has only been one discussion point really. And not a pleasant one for F1. That even at Montreal of all places the sport was not delivering entertainment for those watching on. Plenty too have sought to give a diagnosis for it all. Not all of it has been coherent necessarily. No doubt the odd hobby horse has been mounted. But what was actually wrong last Sunday? For starters I'm going to go against the grain a little and say that I didn't think the race in Canada was too terrible. It was no thriller I grant you, particularly by local standards, but I didn't think it in itself was worthy entirely of the hysteria that has followed it. It had a reasonably tight fight for the win, and at least for a time mid-race the chasing Nico Rosberg looked to have Lewis Hamilton's lead under credible threat. There also was a decent amount of action further back, not least two good drives through the pack providing diverting wheel-to-wheel action. Felipe Massa's pass on Marcus Ericsson from the on-board shots thrilled, as did Sebastian Vettel's two no-holds-barred scraps with Fernando Alonso (still a lot of feeling there clearly) as well as with Nico Hulkenberg, Pastor Maldonado and others. Possibly part of the perceived problem with last Sunday's race is one of expectation. The Montreal venue as intimated is one that we can usually count on to cook up something scintillating. But it is easily forgotten that no venue will serve such a thing up every time. Not even the Canadian one. The law of averages tells us that. Classics such as that in 2011 are considered such because they are rare. And for all of the finger-pointing at the current formula for creating the tepid fare the final race at this venue with the old one in 2013, which Sebastian Vettel won at a canter and not a great deal happened behind him, was hardly more watchable than last Sunday's. You could make a case that it was less so. Probably the feeling is accumulative too. Had last Sunday been a bore-fest but the preceding rounds more entertaining then I suspect that the fallout would not have been nearly as great. But it's hard to claim otherwise than that only one F1 race (Malaysia's, back in March...) out of seven so far this season has been a gripping one. And that we'd been waiting that long for another meant no doubt that many eyes burned intensely on Montreal in advance as our salvation. I was intrigued also however to read Martin Brundle in his post-Montreal Sky F1 online column say that he "spoke to many fans after the race and they were buzzing with excitement from having been trackside", as I too spoke to a trackside spectator in Canada and he noted that neither he nor those around him were at all bored during the race. As Brundle noted perhaps there is some culpability with the TV coverage and how it gets all of this across to those at home. Yet there were peculiar things going on in Montreal too. With the perennials we associate with this particular round - drama, unpredictability - there are a couple of others less widely, or fondly, mentioned. And they rather framed things last Sunday. That it is a race very tough on fuel consumption and brakes. Always has been - it's a function of the heavy braking and accelerating its layout requires. Go back indeed to the 1982 Grand Prix here when, with a generous fuel tankage restriction (of 250kg, some two-and-a-half times what it is now) and refuelling permitted albeit at that precise point almost only honoured in the breach, no fewer than three runners running in the top six conked out with no petrol in the late laps. One even was a trusty efficient Cosworth DFV piloted by Derek Daly. In the vast majority of Canadian races in the modern era a safety car appearance meant all got away without having to think about fuel consumption. But this year there was no safety car. Predominant among the complaints about Canada's fare is that it was a manifestation of the 'efficiency' formula put in place at the start of last year; that resultant fuel and brake nursing rather threw a wet blanket over the racing, particularly of the two Mercedes contending first place. Yet the best evidence is that this is wide of the mark. Yes there is a strict 100kg of fuel per car per race limit but it's thought that many runners start the races below this, including last Sunday, as the weight save means the car will complete the race in less time even with a period of fuel saving, predominantly by 'lift and coast' before braking. 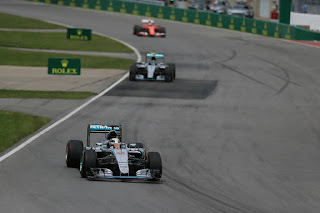 Short-fuelling is particularly common among the Mercedes-powered runners and Mark Hughes has confirmed that the two silver cars indeed started the Canadian race with less than the 100kg maximum aboard, despite the track's extreme fuel demands. And it doesn't matter what the regulations say, no engineer will stick an extra 10kg of fuel (or of anything for that matter) into an F1 car unnecessarily. As Brundle told us in his post-Canada column that additional weight costs 20 seconds over a race distance, or most probably several places. So as long as your fuel saving time loss amounts to less than that you're winning. Indeed demonstrating that this is a perennial such an approach pre-dates the current set of rules. 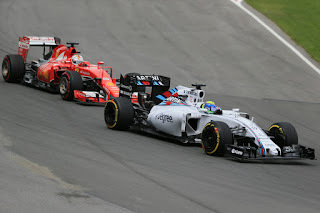 Underfuelling cars so that drivers would have to go into a fuel-save mode for a phase of the race, if a safety car didn't help them out, was the way before 2014 too. Long before. And to take an extreme example all recall Jean Alesi's emotional triumph in Montreal 20 years ago; less well recalled is that then even with refuelling permitted fuel saving was critical that day - Alesi's team mate Gerhard Berger ran out before his only stop indeed while even though Eddie Irvine finished third he bemoaned that his race had been essentially an economy run. Going back further Colin Chapman was notorious for shaving his cars' fuel loads fine, to the point that seeing a Lotus or two parked by the side of the road in the late laps became something of a cliché. Further fuel saving is hardly exclusive to F1. I enjoy Indycar though just about every race of it that I've watched involves eking out the gas for much of the way (due to the frequency of 'full course yellows' and trying to stretch out your stints so your pit stops fall into them). Even WEC, that apparent catch-all template for what F1 is doing wrong as far as plenty are concerned, has 'lift and coast' requests in it (as Edd Straw so eloquently outlined a few weeks ago for all that WEC has plenty going for it you wonder how much those who use it routinely as a stuck to beat F1 with have actually watched it). Same goes for the brakes too, as designers have calculated that the extra aerodynamic impediment from greater cooling costs more on the stopwatch than a bit of in-race management of them. Hughes reckoned the extra ducts etc necessary to have no brake nursing would cost seven seconds over a race, and pointed out too that if the driver is "having to lift off to save fuel anyway, then this brake saving effectively comes for free". The Canadian race was a victim of circumstance to an extent too in terms of the gap between the two Mercs cruising off ahead and the rest which gave it much greater opportunity to run in such outwardly tepid formation. As we know Ferrari is about the Merc's only challenger this year on pace and neither red car had a clear run last time out. This was especially so with Sebastian Vettel, who has tended to run the Mercs closest of all, but he started 18th due to a couple of odd circumstances the day before coming together. James Allen's post-race analysis suggested that an unimpeded Seb could have ran close enough to the Mercs to keep them honest, presumably not allowing the careful brake and fuel management that we got from them, as well as probably force them into two tyre stops each so to guard against an undercut from the German. With all of that, who knows? As it was, a gentle, coaxed, one-stopper was the best way for Merc to ensure the top two places. Its boss Toto Wolff explained later too that a one-stopper means more fuel management than multiple stops. Brundle further noted in his post-Montreal article that in his day in the 1980s - often hoisted as an F1 golden age - a driver managed just about everything in a racing car; not simply fuel and brakes but also gearboxes, clutches and many other things besides. But of course as Brundle noted also back then most of us most of the time were in blissful ignorance of it all: "housekeeping and babysitting wasn't being beamed to the TV audience in great detail via team radio" he said. Partly as the radio exchanges simply weren't broadcast; partly that the team's and driver's ability to manage such things was much more crude. Brundle reckoned that in terms of the intensity of what is shown around the world "we are diluting it with endless cautious radio calls". Censorship doesn't really feel like an answer but perhaps there could be more of a mix of messages broadcast. Then again given who's in charge of the world feed ultimately and his views on the sport's prevailing orthodoxy you wonder if there's an agenda at play... Hughes wondered too how things might be different if the drivers were left to look after such things themselves, rather than have such spoon-fed micro-management from the pit wall. You also in a more broad sense may be spotting a pattern here. That there is an incoherence in what F1 gets criticised for these days. And it's all to do with the perennial conflict of sport vs. entertainment. Or to get more reductive, 'real' vs. 'artificial'. And that it's hard to have both. One of the major criticisms of modern F1 from its detractors is that too much of it is 'artificial' (with everything that entails), yet what has been outlined here as the major factors in Montreal's tepid fare were in fact by any definition 'real'. In terms of brakes and fuel the teams choose those options as they get them from the start to the end of the race most quickly, not because of artificial restraint or concern about 'the show'. And as for Merc disappearing into their own race at the front, well that team has done and continues to do simply a much better job than anyone else. It's the most 'real' thing of the lot. Last year it was masked a little by Merc treading on its own tail periodically, as well as for various reasons (and not entirely unrelated to the first point) having a furious intra-team fight. It's tempting to think that 2015 is 2014 without those two things. Such incoherence goes most of the way to the top too. After the Montreal race Red Bull boss Christian Horner complained about this year's Pirelli tyres being 'too conservative', evidenced by that the Canadian round was a one-stop race for much of the field. Less conservative tyres presumably mean more nursing and driving to delta times. 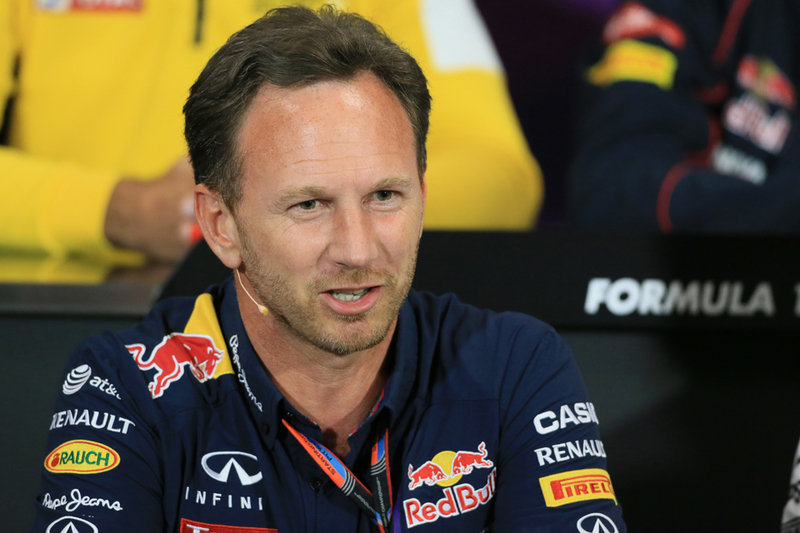 But then in his next breath Horner said drivers should be able to push for the whole race too! We can go back to this year's season-opener in Melbourne too when as in Montreal the tyres easily allowed a single stop, indeed might have been good for the whole distance theoretically. But rather than be relieved that the gumball 'artificiality' had been removed the common cry was instead that the racing had got too dull. Which brings us to the rub potentially. It strikes me that right now the debate over how F1 can improve is not so much a discussion but a cacophony. Too much talking over each other. Too many competing and contradictory yelps. Too much reacting. Of course F1 needs to know what its public (both current and potential) thinks and wants, as well as react to it one way or another; any responsible organisation does these. Of course too there are things that need to be changed about F1; some of them even don't need much deliberation. There is the cost matter as we know, particularly those of the power units, plus the equally familiar matter of the sport's governance and that is constrained by self-interest. About as old, albeit rather masked by DRS and degrading Pirellis for a while, is that cars can't follow each other closely through the corners, much restricting their ability to race. As mentioned there haven't been too many Grands Prix brilliant on the eye this campaign. But equally the sport needs a coherent sense of what it wants to be. It needs leadership and vision. It needs to decide on a blueprint and then, given that you'll never please all of the people all of the time, make an effort to promote and defend it. However dull the Canadian Grand Prix might have been, it is the lack of all of this that is really wrong with F1 right now.